This is such a pretty song by a beautiful woman I met on Twitter. Check out her YouTube Channel. Have you Been Cheated on in Many of Your Relationships? Dear Sybersue is an Informative and very REAL dating and relationship advice columnist for men & women of all Ages! Today she discusses the topic: "have you been cheated on in many of your relationships?" "Why does this keep happening?" This can be a very hurtful and leave you feeling deflated and unworthy. There is something going on that makes you choose this same type of partnership, that needs to be looked into. We choose who we allow into our lives and if the pattern is disturbingly repetitive, you need to get some answers! Your self esteem plays a big part in who you end up in a relationship with. Please watch this video to find out more. Susan loves to hear from her viewers & often answers their relationship and dating questions on her show as a topic choice. Please leave your comments below the video! Labels: cheating in a relationship, infidelity, serial cheater, why do I get cheated on all the time. Are You too Needy in Most of Your Relationships? Canadian Talk Show Host Susan McCord (aka Dear Sybersue) discusses a big problem that many people face in relationships today. When you are dealing with insecurities or drama from your past it can play a big part in who you choose as a partner or it can sabotage potential relationships from happening. Being needy isn't endearing to others as it comes off as manipulative or controlling and wears thin after a while. Wanting to be with someone is a totally different concept to needing to be with someone. No one wants to feel suffocated and neither do they want to have to answer to someone 24/7! Pay attention to the type of partner you are allowing into your life as there may be a pattern that you are not aware of. If you have some deep rooted negative programming that you just can't seem to change from the past, it might be time to talk to a professional about it. You deserve to be happy and it is never too late to make changes. 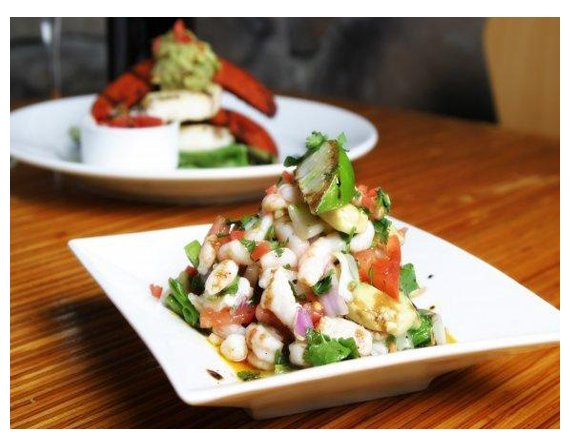 I am very excited to be writing an article on the Baru Latino restaurant because it is my favorite place to eat and hang out in the Kitsilano hood! It has a downtown atmosphere feel to it without having to cross over the bridge to get there. What makes this place so special? Pretty much everything! One of the main reasons to visit this highly popular spot, besides the incredible food and the ambience; is the “hands on” owners! Rene Lafleur is one of the owners (yes, he is related to hockey legend Guy Lafleur - his dad’s second cousin!) and despite his very French name, he does not speak the language. Rene spent 12 years as a drummer with the band “Star Collector” who proudly have 4 full length albums. He is the numbers geek, wine guy and host at Baru. Co-owner Dave Newis has been a kitsilano fixture for many years working in numerous establishments & known as a bartender extraordinaire! Dave also traveled Canada playing beach volleyball. 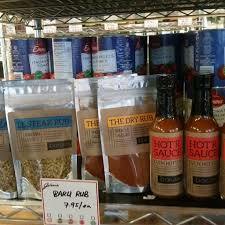 He is the “attention to detail” Milieu expert at Baru! Baru Rubs and Sauces may have only been around for 2 years, but these two entrepreneurial women already have their products in 5 whole Food stores and 8 other various stores throughout BC. Who needs the Dragons Den to promote your business when you have these two go-getters! 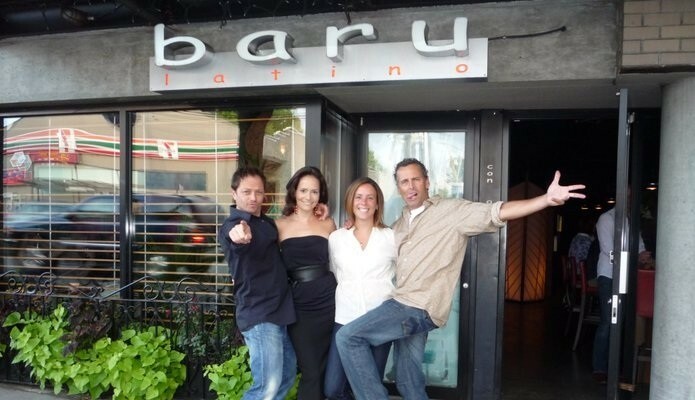 Baru Latino was an established name & venue when Dave & Rene decided to delve into this business. They loved the space on sight! Tired of working for someone else & spending so much time throwing their own dinner parties, they decided to look for a place to call their own! Both owners are originally from Alberta, moved to Vancouver in 1991, met here & have been friends for 12 years. Business partners for 8 years, they are quite the characters & each offers something different and unique to the restaurant. Talk about meeting someone at “the right place at the right time” and what a great team they are! They make it work so well and the "dinner party theme" is definitely the feel you get when you walk in the door! The atmosphere is fun and romantically contagious. Chef Zita Newis, sous chef Mathew Wilson, cooks Tristen Jones and Kristy Averves are responsible for the amazing food reputation at Baru. 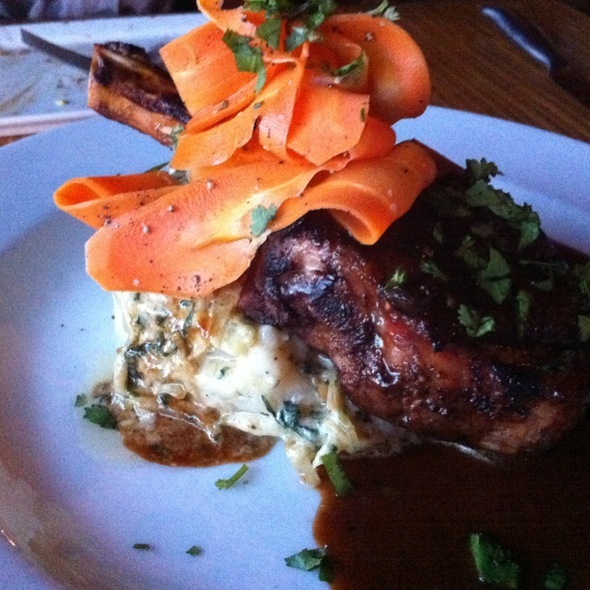 The guava glazed 10 oz pork chop & ceviche are my favorites but everything on the menu is fantastic! They encourage family style sharing and the restaurant is pleasantly affordable with the most expensive entree; Steak Chimmichurri 7oz Sirloin steak, with chimmichurri sauce, served with jalapeno potato pave and topped with a smoky corn salsa served with seasonal vegetables priced at $31. The dining area at Baru seats 44-48 people with an additional 15 bar seats. It is a popular location for many functions/private parties and has been voted as a great date night hangout! It’s not uncommon for online daters to meet up here for their first rendezvous. The beautiful actress Natalie Portman was seen dining in Baru along with many other visiting and local celebrities. They love the cozy non-pretentious atmosphere! The incredible lighting and uniquely flavored mojito drinks give it a romantic flare that makes couples feel amorous! 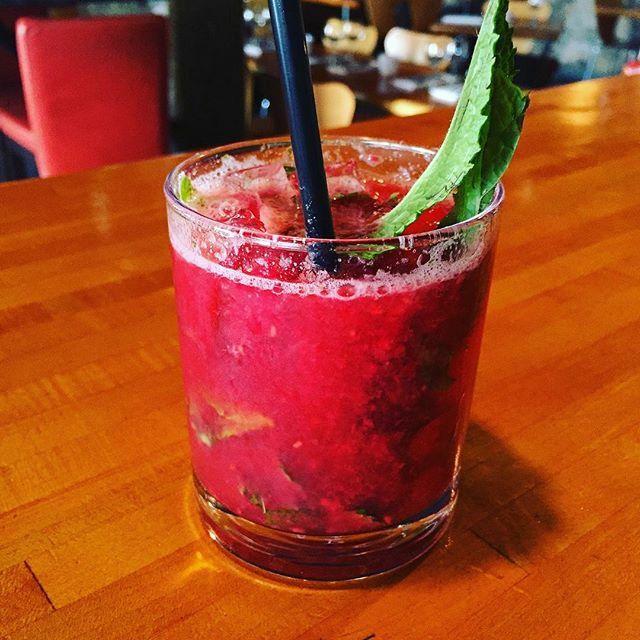 There is a happy hour available every day of the week from 5-6:30 which includes $5 red/white sangria, double mojitos for $7, red or white wine $6 for a 6oz glass ($9 for a 9oz glass) and 1516 beers for $4. 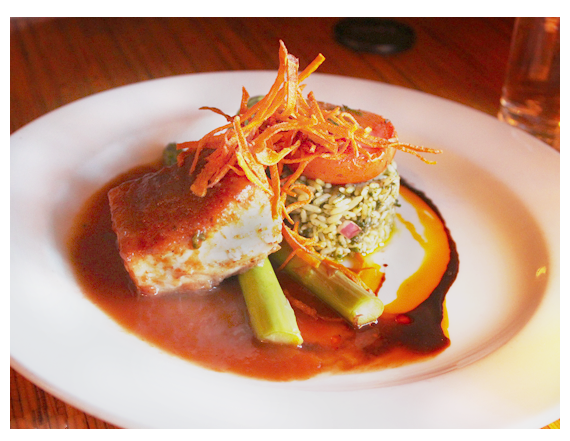 This is very affordable especially for those "first date" evenings! 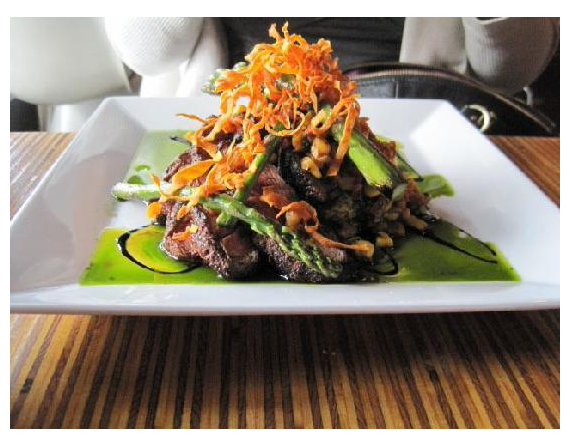 *Mention this article when making your “date night” reservation and Baru will offer you something special to help with those "first date" jitters! 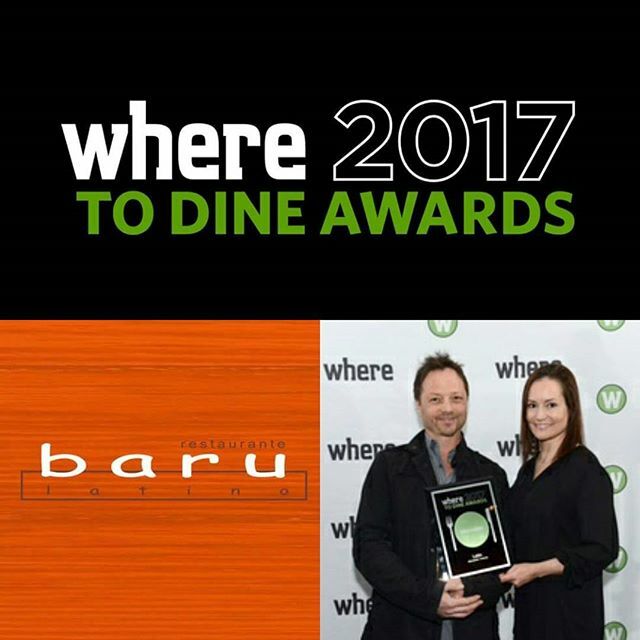 Baru Latino Restaurant participates in Dine Out Vancouver every year and has many repeat customers due to how much they enjoy their first dining experience at Baru! They can’t wait to come back! Make your reservations soon and don’t miss out on this incredible Latino experience at 2535 Alma Street on the west side of Vancouver. There is free parking available underground behind the restaurant. Tell them Dear Sybersue sent you!